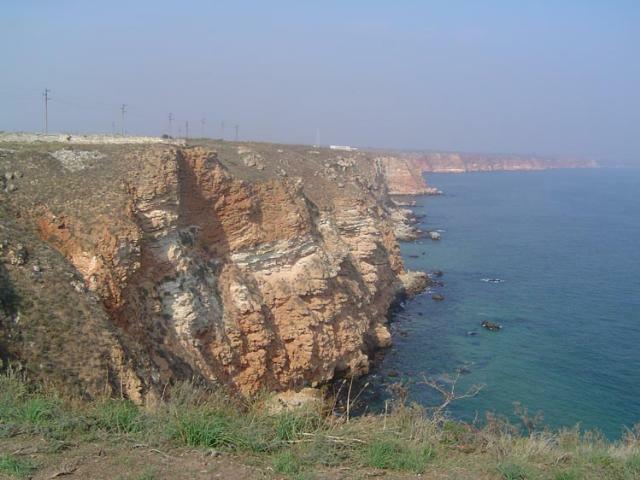 Cape Kaliakra protrudes 2 km into the sea, lying 12 km to the east of Kavarna and 60 km to the northeast of Varna. 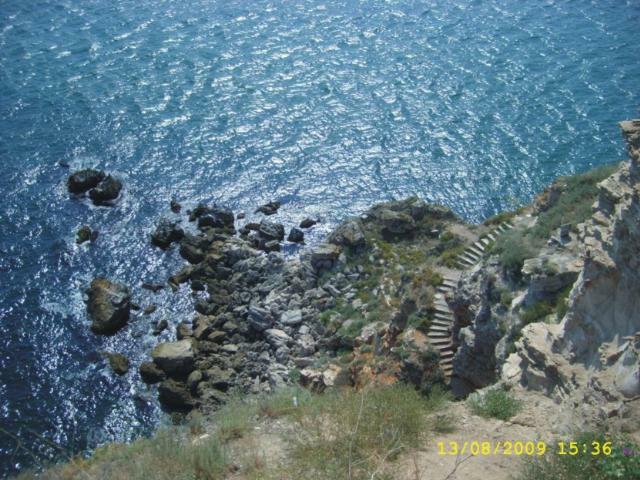 The coastline is steep; sheer cliffs, dropping 70 meters down into the sea. Kaliakra is a natural archeological reserve. 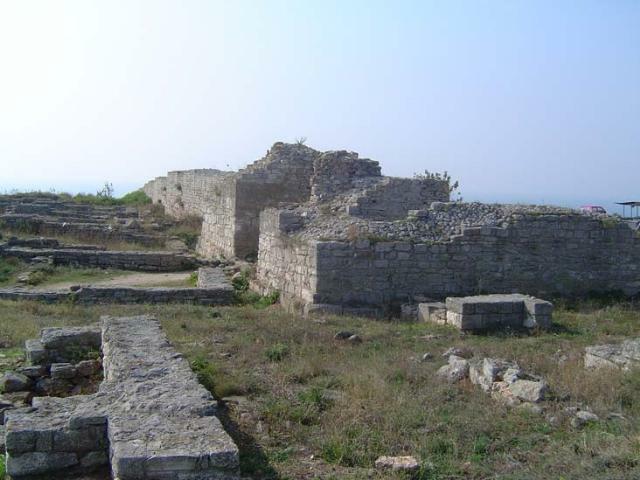 The oldest life found here dates as early as 4th century B. C. At that time the Thracian tribe Tirizi populated the region, and gave the name of the fortress – Tirizis. It had changed several times through the centuries – Tetrasiada, Akre Kastelium. 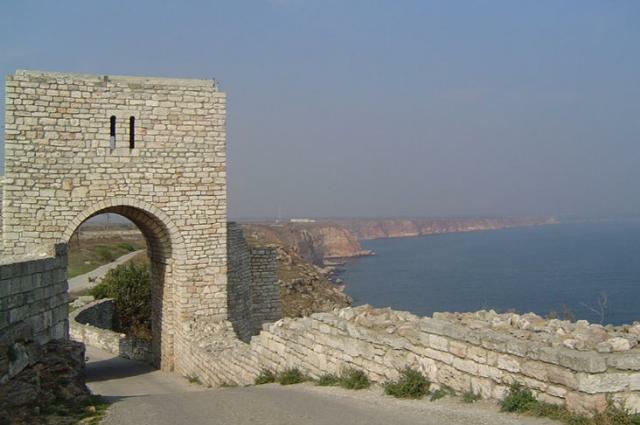 For the first time it was mentioned under the name of Kaliakra, which means beautiful cape, at the end of 13th century. It is known from written records that there was a powerful ancient city, where the ruler coined his own money and turned the fortress into a church center. The decline of the fortress occurred with its conquest by the Ottoman invaders. The last information about Kaliakra dates back to the sea battle in the bay, between the rear admiral Ushakov and Turkish navy in 1791st, where the Russian armada prevailed. 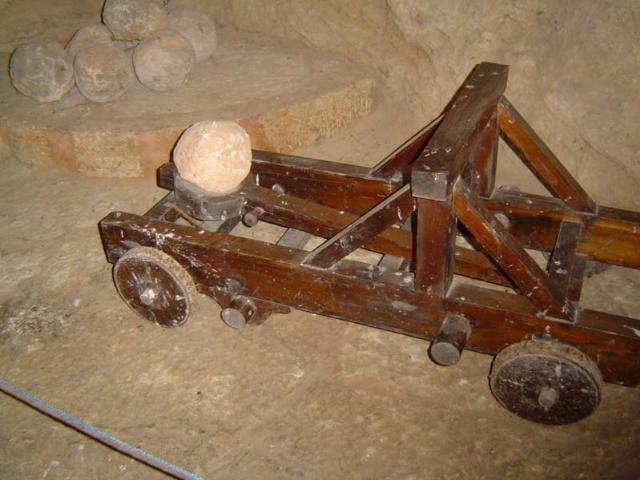 Part of the material culture from the past is exhibited in a small archeological museum, built in one of the local caves. The legend of cape Kaliakra tells about forty Bulgarian girls, who tied their long plaits of hair together and jumped to their deaths in the sea, rather than being captured by the Ottoman enslavers. Today in the name of that event, at the beginning of cape Kaliakra is rising an obelisk, called “The gate of the 40 virgins”. 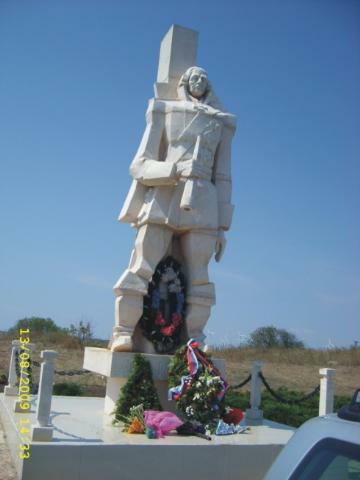 Another legend tells about saint Nikola, the protector of the seamen. He was trying to escape from the Turks, who were chasing him, and the land under his feet was stretching out, trying to help him escape, but in vain. He was captured and executed. Today at the very end of the cape, there is a small chapel, restored in 1993, symbolizing his grave.